What are the differences between eCommerce fulfillment and dropshipping? 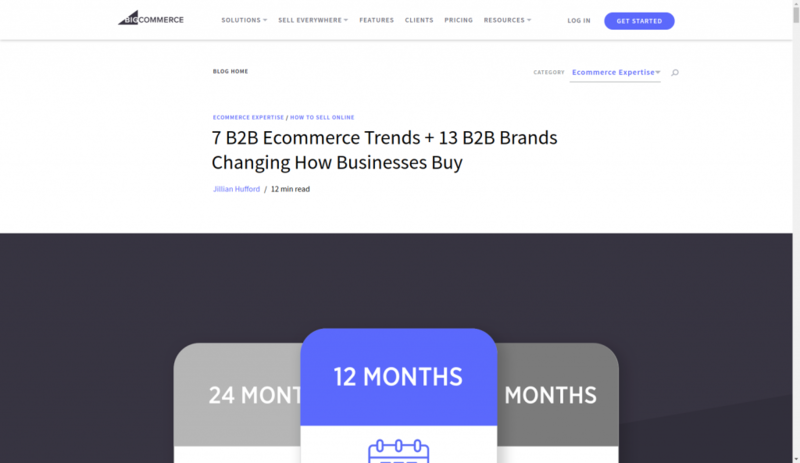 With the new longread by BigCommerce you will stop questioning yourself about where the B2B commerce industry is moving. It is full of important insights: new strategies, suggested software programs, beating competition tricks and tips, and even multichannel and mobile integration options. 2. 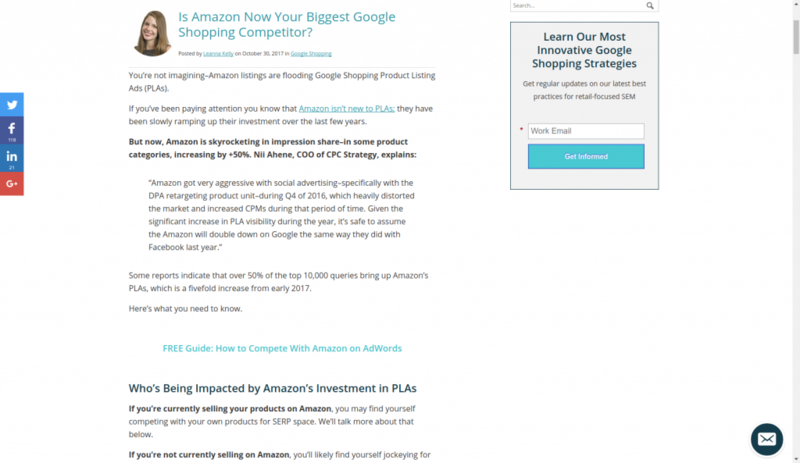 Is Amazon now your biggest Google Shopping competitor? Amazon is obviously skyrocketing in the online presence day by day. Everyone is watching their success hoping to learn some star secrets. This time, Leanna Kelly is discussing how Amazon is massively conquering Google Shopping Product Listing Ads. Take at look on how this may affect your business. Everyone around is talking about going omnichannel, yet not that many understand the message right. 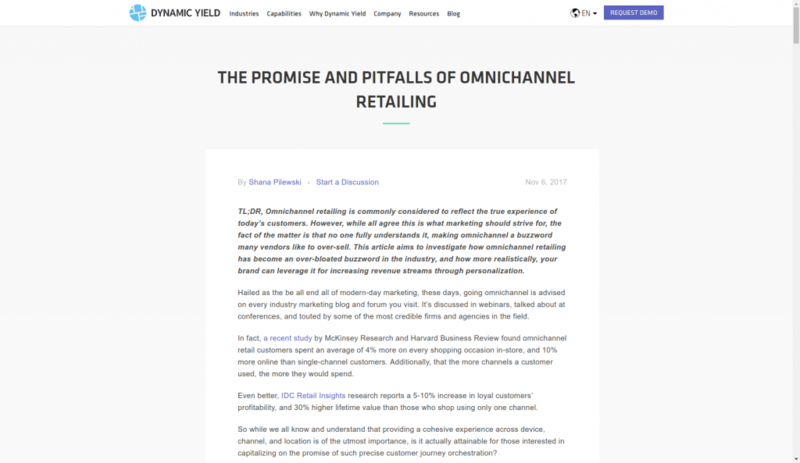 The article is an attempt to lift the veil of secrecy behind the trend and take a realistic look on how to optimize multiple channels. 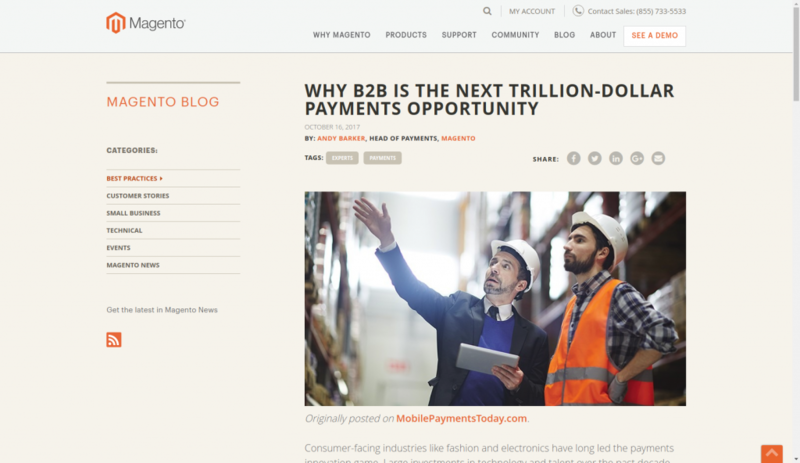 Following the talk about the outstanding companies the world is talking about: let’s take a look at PayPal, the biggest online payment system. 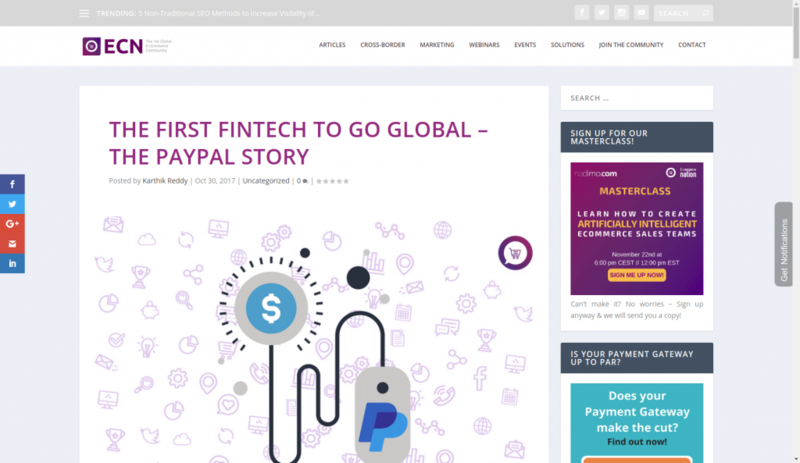 A story of success of this global fintech enterprise contains precious lessons worth to be known. Mobile app builders must understand the client needs flawlessly, and this article can serve as an instruction. The author is listing and explaining the features which will work out for sales enhancement. 6. 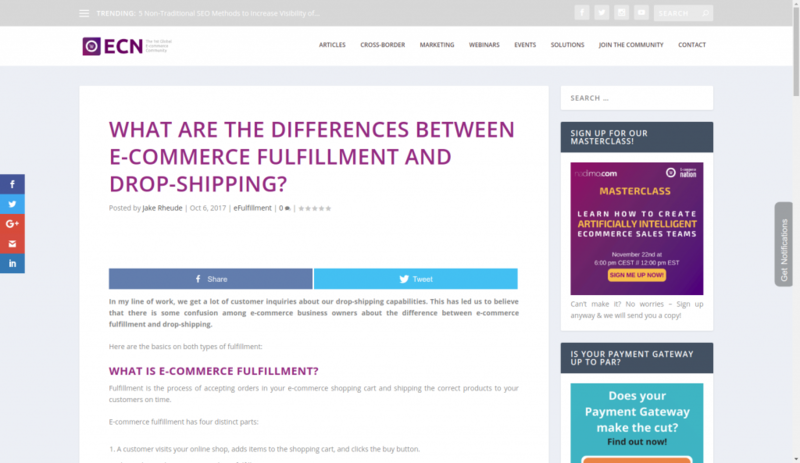 What are the differences between eCommerce fulfillment and dropshipping? There is much confusion between the eCommerce fulfillment and dropshipping. These are definitely two different work models with particular advantages and drawbacks. 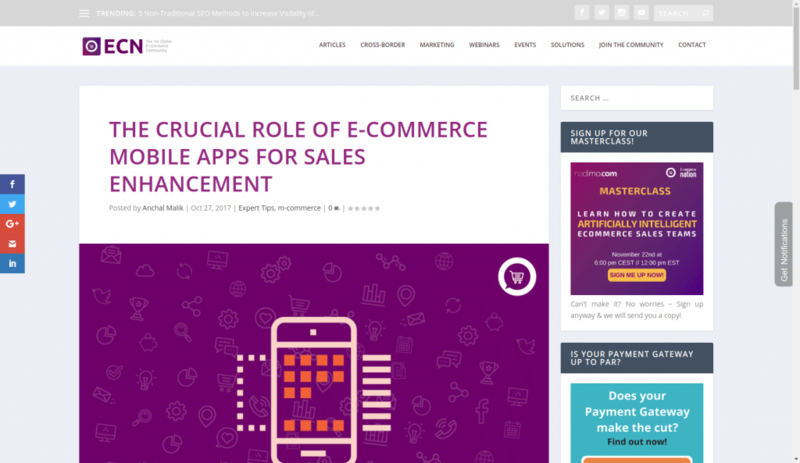 Learn about the major contrasts from the article by eCommerce Nation. Cryptocurrencies are now among the hottest topics for discussion. 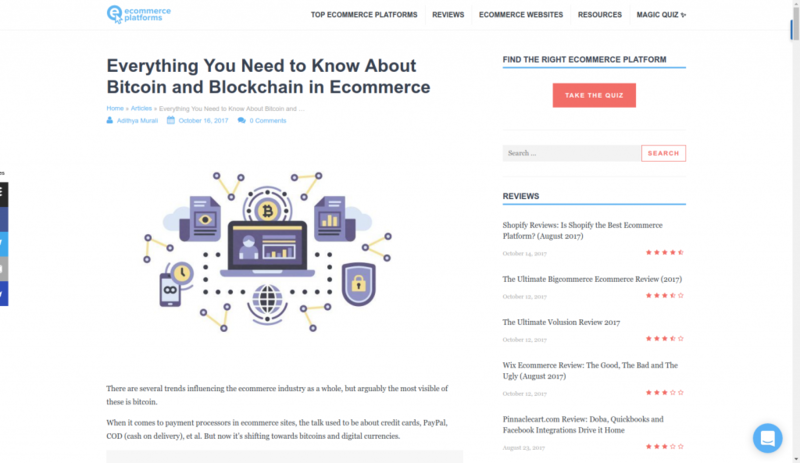 Taking into account the fact they are actually transforming the way economy works, it is useful to learn the role of blockchain in eCommerce. In the article, you will find an economic model explanation, a nearest future forecast, and instruction of how buyers can purchase with bitcoins. B2B has remained conservative to new technological opportunities for long. This resulted in numerous profitable digital opportunities remaining untouched. However, the times seem to be changing, and soon we’ll witness some massive corporate transformations in the industry. That’s all for now. If have any interesting news to share, leave the comments in the section below. P.S. In case you are interested in trying API2Cart, you can create an account and see how the API works on live stores.